Double D Plumbing is proud to be your local source for handling all residential plumbing needs. Our customers are our number priority. 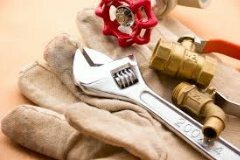 We desire for our customers to put their trust in our experience to diagnose and repair all of their plumbing needs, regardless of size. We provide quality, dependable plumbing services at a fair price. You can put your trust in Double D Plumbing.